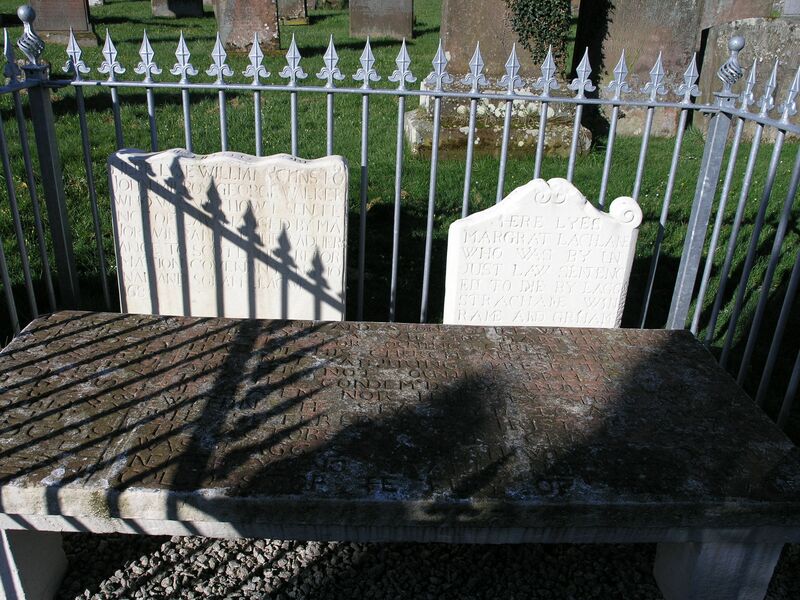 One reason that people have heard of Wigtown, is because 2 women were put to death by drowning on May 10th 1685, for refusing to conform to the religious orthodoxy of that time. They are commemorated by a simple wooden cross in the church, put up to mark the 300th anniversary of their death (1985). Below our some photographs of notable gravestones: on the left the Wigtown Martyrs; on the right in the foreground, the table style grave stone of Archibald Hamilton, who was the minister of Wigtown during the 1660s, who fled to Ireland to escape punishment for his covenanting sympathies. 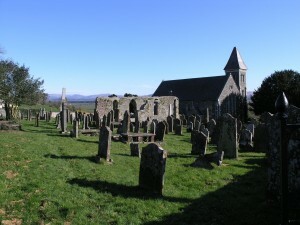 When the persecutions stopped, following William and Mary taking the throne in both England and Scotland, Archibald Hamilton was able to return to his beloved Wigtown, and was referred to as the “Father of the Church of Scotland”, as the oldest serving minister at the time. 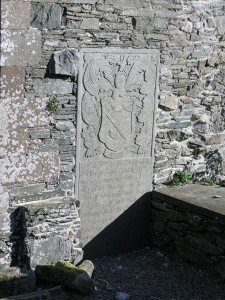 he was buried at the door of Wigtown church,as he had wished. The old church stretched out much further than the remaining ruins. of heaven nor hell they stood no aw. 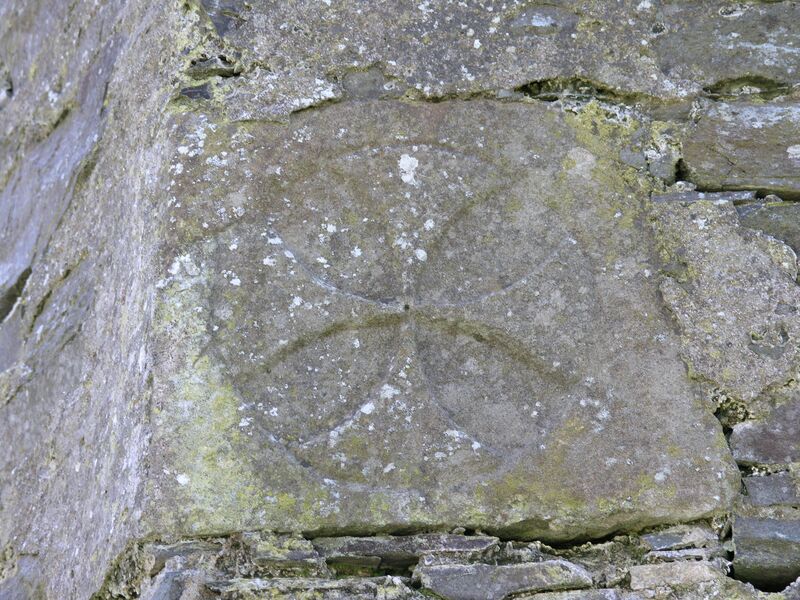 Magdalene cross, in the wall of the north transept of the old church, which dates it from the 11th Century. Most of the stone from the old church was used to build the new kirk in the 1850s, This wing was not demolished, as it contained the crypt of the Vance (Vaux/Vans) family from Barnbarroch House, who insisted the wall remain, with their coat of arms ( see opposite). The Vances (Vaux/Vans) were a most interesting local family; one of them Sir Patrick Vance, was the last Roman Catholic priest of Wigtown, who became the first reformed minister of Wigtown in the 1560s. One way to keep your job! Also the same man, was sent to Denmark, along with another Wigtownshire nobleman to choose James VI’s wife for him. 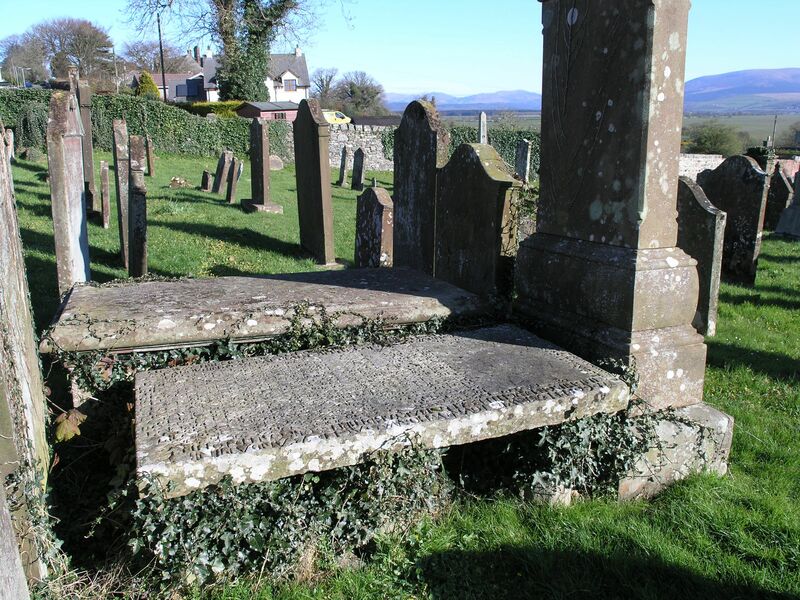 I strongly believe one of the Wigtown Martyrs, John McIlroy, was a distant paternal grandfather of mine…Do you know of any records, etc., which proves Hugh McIlroy, born 1682, was his son? Thank you. heard back from Donna : “There isn’t any way of ascertaining, from our records, that Hugh born in 1682 was the son of John of Covenanter persuasion. If the enquiring Mr McIlroy were to check out the Edinburgh website he might be able to pick up something in the OPR. I only have that for Wigtown. Warn him that not many entries date back that far. Another thing he might take into account is that McIlroy and Milroy may very well be the same name at that time. 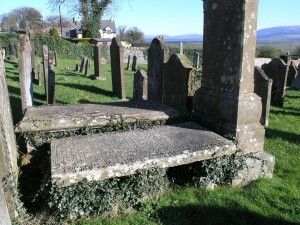 There is a family in the Clachan cemetery, Milroys of Kirkalla (of martyr connection) who date back to the same period he’s looking for. As ‘Mc’ was often ‘M apostrophe’, the ilroy could be common to both. Sometimes in documents of the period, in case he doesn’t know, names of the same person were spelled in various forms in the same document. Spelling was a ‘mood thing’, much like is happening today! Thank you (and Donna) for the interest in, and research done, regarding my family-research query. I appreciate the effort to determine if one of my (Scottish) paternal grandfathers was one of the Wigtown Martyrs. Will update you when more is known…Thank you. Out of curiosity, did you ever find more information on this? I believe John Milroy may have been one of my maternal ancestors, but I too am searching for the connection of a son named Hugh. I recently started looking into this and would be very interested to know! I am researching Margaret Wilsons family and wonder if you might be able to help me with this. 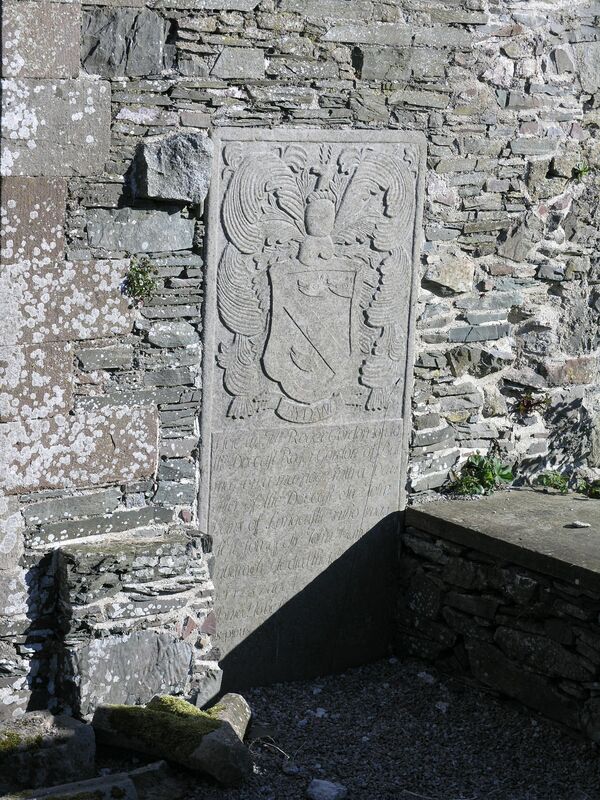 Hi…I am researching a John William Patterson born in Wigtown in 1680. Are there birth records in town? I’m looking for the grave of James Dally 1840 – 1916. He was an Inspector of the Poor and also involved in the farming sector. His funeral was on Sunday 27th Feb 1916 in Wigtown and I am presuming he was buried there but alas there is no grave recorded. 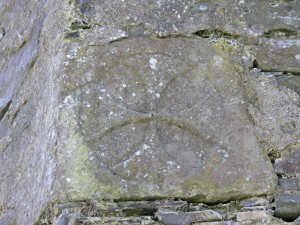 Are there any church records which would indicate where he was buried? I am not sure I would be of much help with this but will give you the email address of the local historian in Wigtown Mrs Donna Brewster. I am sure she will be able to help you. Fascinating. I enjoyed my visit last week. Met descendants of Provost Coltrane in Wigtown. They were over from North Carolina, USA. I’m finding this fascinating. I popped up the site because my 9th (?) great grandfather Archibald McClelland came from Wigtown to American around 1700 and I was curious if there would be any record of him. It so happens that my family name is McElroy (great coincidence to see Douglas writing above and references to John Milroy and possible Milroy/McElroy connections. My understanding is that the McElroy’s came from Northern Ireland around that same time. So, maybe the families knew each other in Wigtown and he went to America by way of Northern Ireland and they reconnected in America(Bucks n, Pennsylvania). Can anyone help me connect the dots? Or does that sound like a familiar sort of path?